In a significant decision the National Law Schools Consortium has resolved that Common Law Entrance Test (CLAT) will have a permanent secretariat at National Law School of India University, Bangalore which is also the headquarter of consortium. The decision was taken at the third meeting of National Law Schools Consortium which was held today at NUALS, Kochi. In accordance with the MoU signed at RMNLU, Lucknow, Prof Venkat Rao, President of consortium handed over the charge to the incoming President Prof Faizan Mustafa, Vice-Chancellor of NALSAR University of Law. Prof Vijay Kumar, Vice-Chancellor of NLIU, Bhopal is the new Vice-President. In its meeting prior to the meeting of CLAT Core Committee, consortium met under the chairmanship of Prof Faizan Mustafa and took some historic decisions to streamline conduct of the CLAT. “It was unanimously resolved that CLAT will have a permanent secretariat at National Law School of India University, Bangalore which is also the headquarter of consortium. CLAT will now be conducted by the newly formed executive committee of the consortium that would have NLS, Bangalore, NALSAR, Hyderabad and NLIU, Bhopal as its ex-officio members, CLAT Convenor of the year, and the CLAT Convenor of the following year and two co-opted Vice-Chancellors of NlUs nominated by the CLAT Convener who have past experience of conducting CLAT”. Prof Mustafa said that this arrangement has been put in place to give much needed stability to the conduct of CLAT. The Incoming CLAT Convener has been included (If he would be overseeing CLAT of following year) so that he gets hands on experience and becomes familiar with the entire admission process. The next meeting of consortium shall be held at NLS, Bangalore on October 17, 2018 to finalize the conduct of CLAT-2019. The consortium unanimously resolved to request Prof Sri Krishna Deva Rao, Vice-Chancellor of NLUO to be the convenor for the CLAT 2019. The CLAT Core Committee subsequently endorsed this decision. The Consortium also resolved to conduct a three month training for those who aspire to join NLUs as faculty members. “At the end of training, an examination will be conducted to certify suitability of candidates to apply as faculty members in any member university of the consortium. The modalities will be discussed, deliberated and approved in the next meeting of the consortium. The consortium also resolved to work out the list of parameters for the accreditation by NAAC of all law universities, Law Departments of other universities and law colleges as the existing NAAC parameters are based on the multi-faculty traditional universities and do not fully capture the uniqueness of standalone single discipline universities”. The consortium also resolved to find ways and means to get NLUs status of ‘institutions of eminence.’ The consortium also discussed the exchange of faculty amongst the member universities and the issue of resource crunch. A petition filed by Prof. Shamnad Basheer seeking the immediate intervention of the Supreme Court against the opaque and inefficient implementation of the Common Law Admission Test (‘CLAT’) is still pending before the Court. The third meeting of National Law Schools Consortium that was founded in 2015 and was operationalized on August 17,2017 at Bangalore was held today at NUALS, Kochi. Second meeting was also held in May,2018 in Kochi. In accordance with the MoU signed at RMNLU, Lucknow, Prof Venkat Rao, President of consortium handed over the charge to the incoming President Prof Faizan Mustafa, Vice-Chancellor of NALSAR University of Law. Prof Vijay Kumar, Vice-Chancellor of NLIU, Bhopal is the new Vice-President. In its meeting prior to the meeting of CLAT Core Committee, consortium met under the chairmanship of Prof Mustafa and took some historic decisions to streamline conduct of the CLAT. It was unanimously resolved that CLAT will have a permanent secretariat at National Law School of India University, Bangalore which is also the headquarter of consortium. CLAT will now be conducted by the newly formed executive committee of the consortium that would have NLS, Bangalore, NALSAR, Hyderabad and NLIU, Bhopal as its ex-officio members, CLAT Convenor of the year, and the CLAT Convenor of the following year and two co-opted Vice-Chancellors of NlUs nominated by the CLAT Convener who have past experience of conducting CLAT. Prof Mustafa said that this arrangement has been put in place to give much needed stability to the conduct of CLAT. The Incoming CLAT Convener has been included(If he would be overseeing CLAT of following year) so that he gets hands on experience and becomes familiar with the entire admission process. The next meeting of consortium shall be held at NLS, Bangalore on October 17, 2018 to finalize the conduct of CLAT-2019. The consortium unanimously resolved to request Prof Sri Krishna Deva Rao, Vice-Chancellor of NLUO to be the convenor for the CLAT 2019. The CLAT Core Committee subsequently endorsed this decision. In other major decisions, consortium resolved to conduct a three month training for those who aspire to join NLUs as faculty members. At the end of training, an examination will be conducted to certify suitability of candidates to apply as faculty members in any member university of the consortium. The modalities will be discussed, deliberated and approved in the next meeting of the consortium. 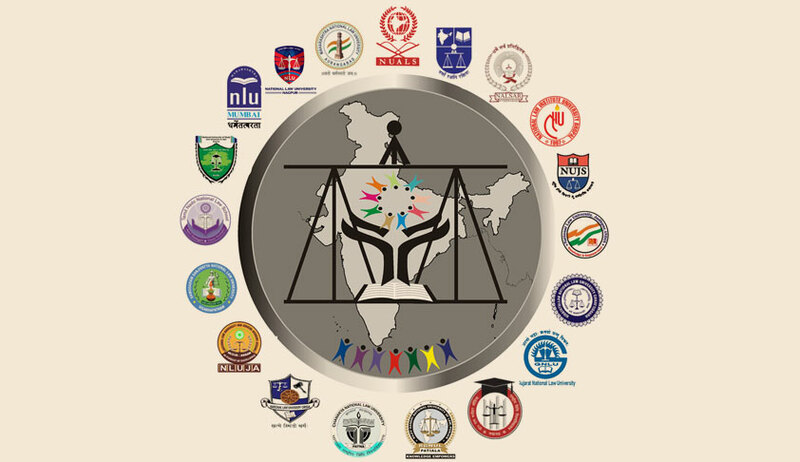 The consortium also resolved to work out the list of parameters for the accreditation by NAAC of all law universities, Law Departments of other universities and law colleges as the existing NAAC parameters are based on the multi-faculty traditional universities and do not fully capture the uniqueness of standalone single discipline universities.